Pakistan govt has decided to take action for what it described as trying to influence the Supreme Court’s judgement in the Panama Papers case. 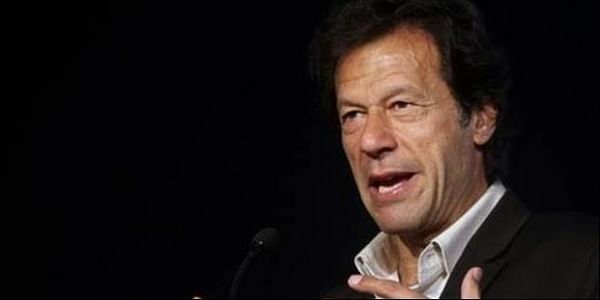 ISLAMABAD: The Pakistan Government has decided to take action against Pakistan Tehreek-i-Insaf (PTI) chairman Imran Khan under cybercrime and defamation laws for what it described as trying to influence the Supreme Court’s judgement in the Panama Papers case and damage Prime Minister Nawaz Sharif’s reputation through vilified media campaigns. According to the Dawn, Minister of State for Information Marriyum Aurangzeb and the ruling PML-N’s MNA Daniyal Aziz while addressing a joint press conference yesterday said that the PTI chief had tried to damage the Prime Minister’s reputation by levelling false allegations against him during his speeches and on the social media. The government had a right to proceed against him under the country’s cybercrime and defamation laws, they added. “We will definitely take action against the PTI leadership,” the minister said, adding that it should not be called political victimisation because the PTI’s campaign against the Prime Minister fell within the purview of cybercrime laws. Aurangzeb added that work was under way to prepare a case against the PTI leadership under the said laws.